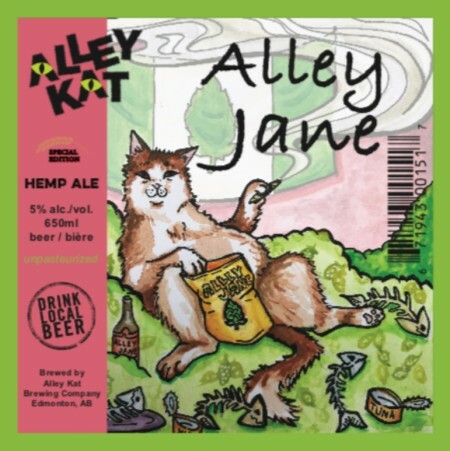 EDMONTON, AB – Alley Kat Brewery has announced details of a new beer celebrating the upcoming legalization of marijuana in Canada. We roasted our hemp to give it a toasty flavour that goes down real smooth. Its mild flavour is a perfect complement to any snacks you may partake in, and won’t overpower your buds. Taste buds, that is. Alley Jane will be released on Thursday July 19th, and will be available in 650 ml bottles at Alley Kat and select retail stores in Alberta.